2nd Bloomington Ghost Brothers Show Added! 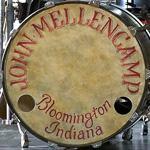 John Mellencamp Community > MELLENCAMP.COM ANNOUNCEMENTS > Announcements & Updates > 2nd Bloomington Ghost Brothers Show Added! Tickets are on sale now, the AEG site says soon, but they are available now. Due to popular demand, a second show has been added in Bloomington IN at the Indiana University Auditorium for the Ghost Brothers of Darkland County Fall 2013 tour! Re: 2nd Bloomington Ghost Brothers Show Added! So Glad a 2 ed Show has been added. Is John Mellencamp and his going to be at the event and play? JIM DREW INDY Cant wait to see this long awaited project!!!! Due to popular demand, a second show has been added in Bloomington IN at the Indiana University Auditorium for the Ghost Brothers of Darkland County Fall 2013 tour! <p>The newly announced show will take place on October 23. I was at the Show with my wife and we Loved the Show! I got a CD and a Poster and after the show I got Bruce Greenwood and some of the other Cast to Sign it...My Friends went to the 1st Showing in Bloomington and got some great Pictures of John and Stephen. I am telling everybody about this great Southern Gothic Musical.